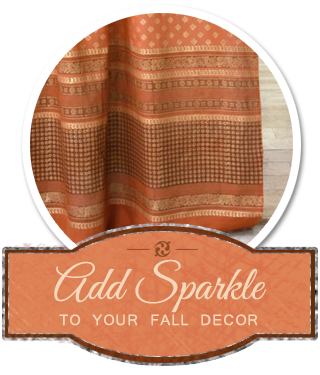 Take all the deep orange-red hues of the season, sprinkle them with gold dust and you will have Shimmering Goldstone! If the allure and mystery of India appeals to you, if you dream of traveling to exotic far away places, if you find yourself drawn to global hand crafted decor, then this hand blocked print with gold paste overlay may very well be your fall print. 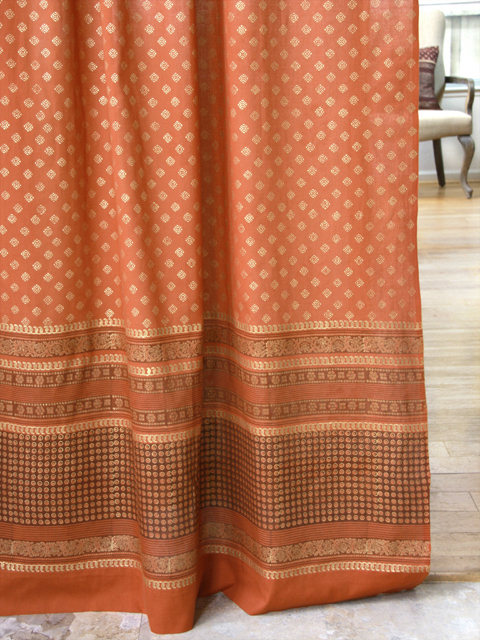 Shimmering Goldstone curtain panels will add zip to your living room, and the lovely orange print will transition beautifully right into Thanksgiving. Orange is a hot hue that commands as much attention as red, but with less fierceness and intensity. 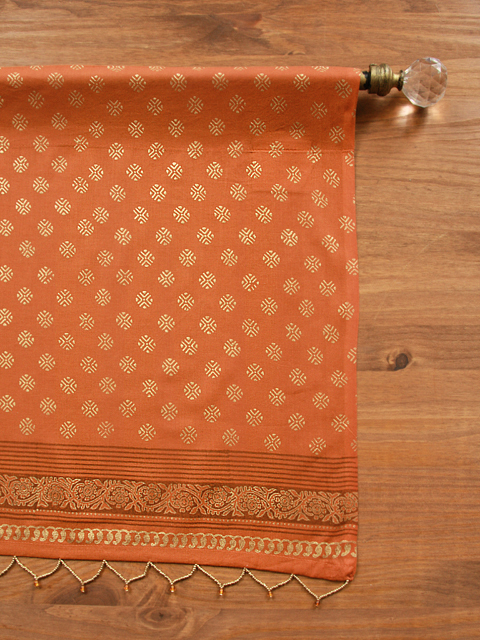 If you’d like a variation on those warm hues, top your window with this same global print, but in a beaded valance. The gold print makes the fabric shimmer, and the beading adds the perfect amount of shine. Never underestimate the power of pillows and throws. In addition to being the perfect accessories, they make guests feel at home in an instant. Using a pillow or two in Shimmering Goldstone will tie together your fall look, even in a larger space like a living room. Add layers of color and texture to your fall space with a gorgeously large Tropical Garden euro sham. 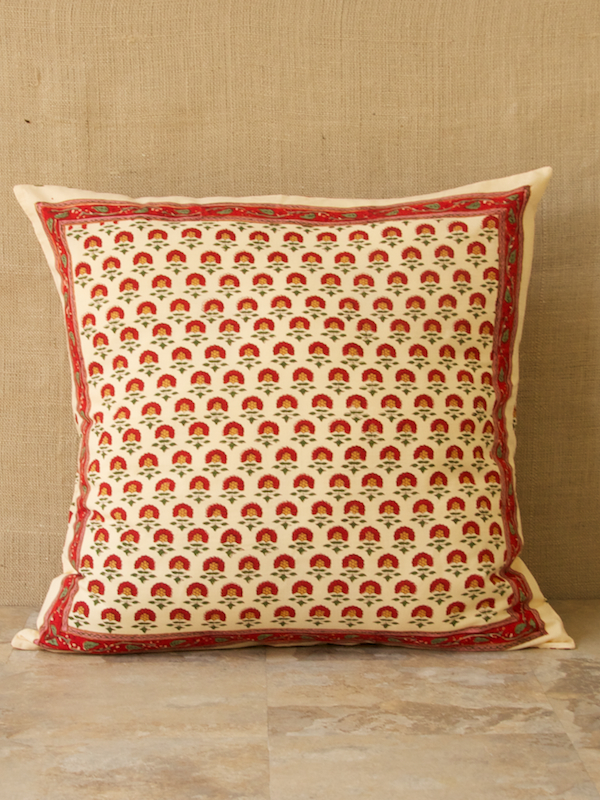 Pillows in varied sizes, shapes and patterns will add a distinctive global sense to your living room. Now, Shimmering Goldstone is a rather glamorous print – rich colors and gilded design collaborate for decadent beauty. 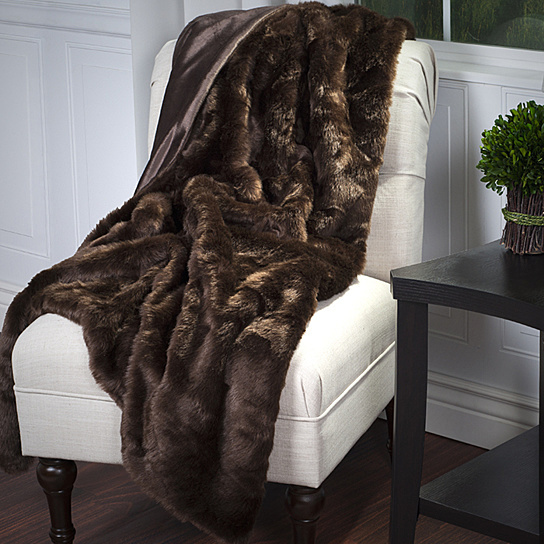 Why not play up the hint of extravagance with a lush, thick faux-fur throw? Definitely warm, and fully cozy, your stylish throw is sure to be a favorite. 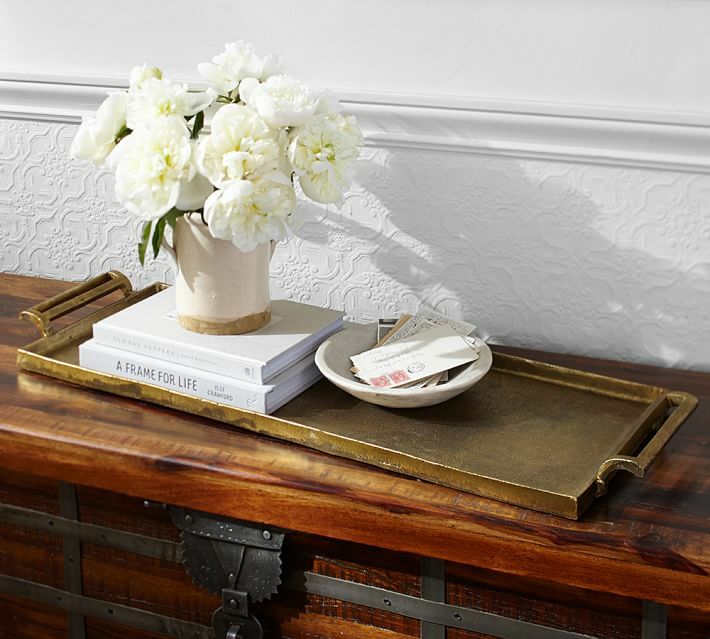 An alluring, muted metal tray will enhance the shades of autumn orange and gold in Shimmering Goldstone, and create a stylish space for a bit of organization. 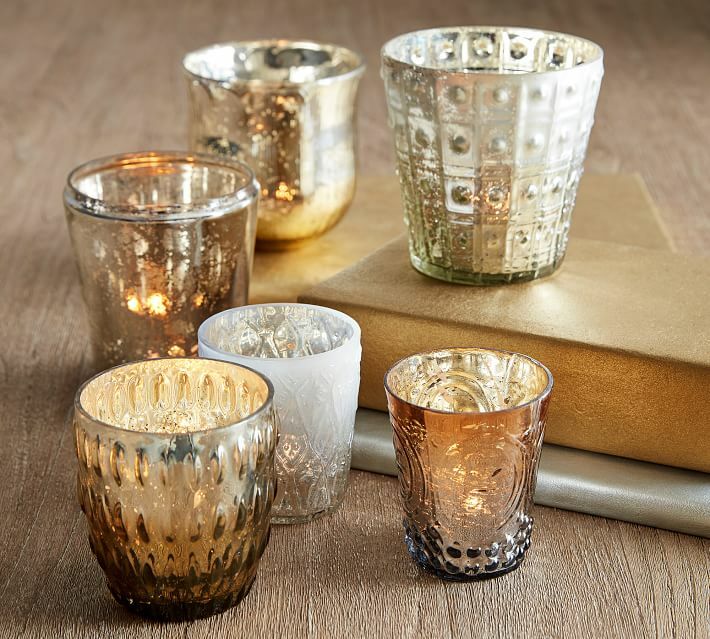 Of course, in fall, we want to add warmth and light to our spaces, and a few twinkling candles are just the thing! I love votives in fall colors… cinnamon or vanilla scented candles inside complete the warm, organic vibe. 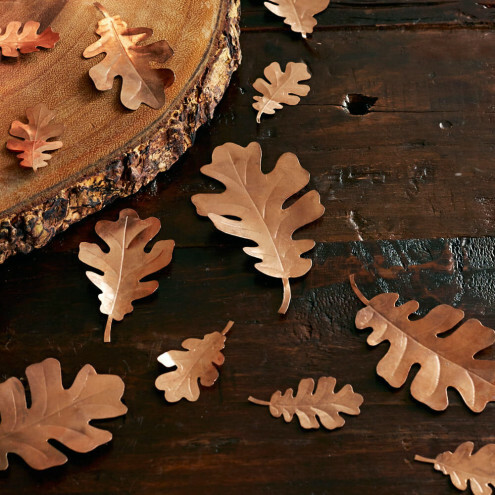 Love, love, love these copper oak leaves for fall decor. Top the mantle, scatter across the dining table or circle candles in the living room. They’ll add instant natural charm to your room, and are easily tucked away for next year when the seasons change! 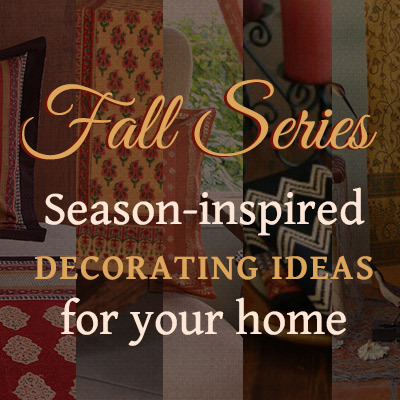 Decorating for fall is really a delight, especially when it involves bringing the outdoors in. 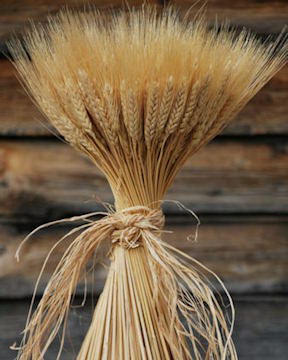 Showcase the natural beauty of golden shocks of wheat, and give a nod to the season of harvest. 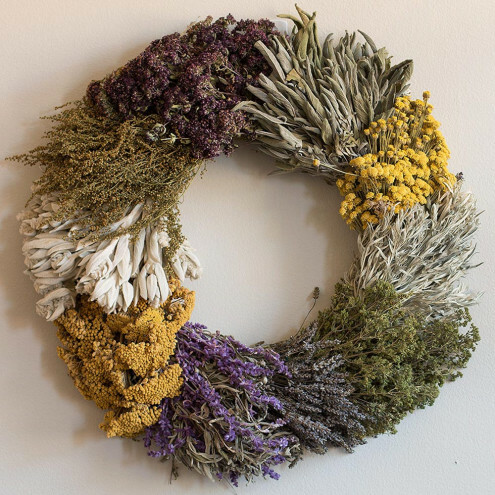 A colorful, fragrant natural wreath like this will add so much interest on a wall above a low chest or incorporated into a small collection of framed, hung artwork. 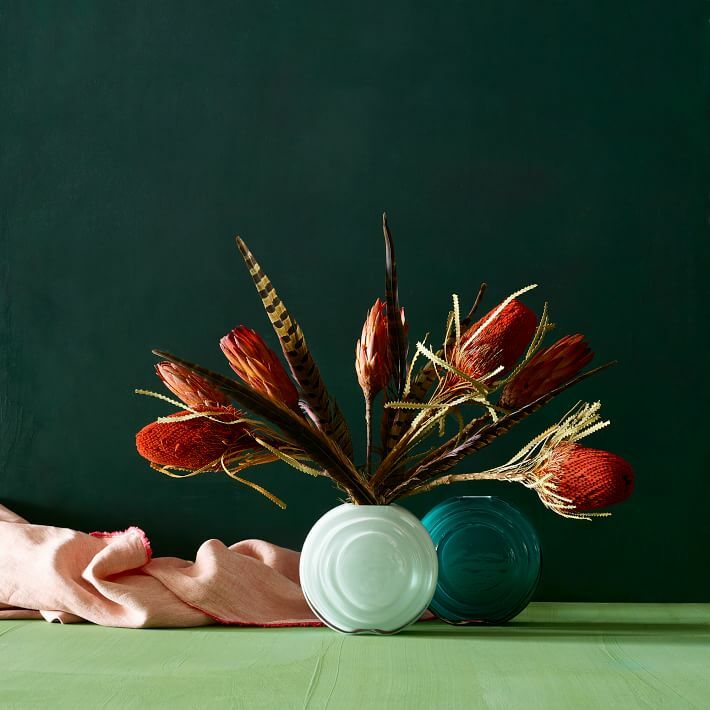 We love natural best, and gorgeous red dried flowers and feathers, like these from West Elm, are worth scooping up to be enjoyed year after year. 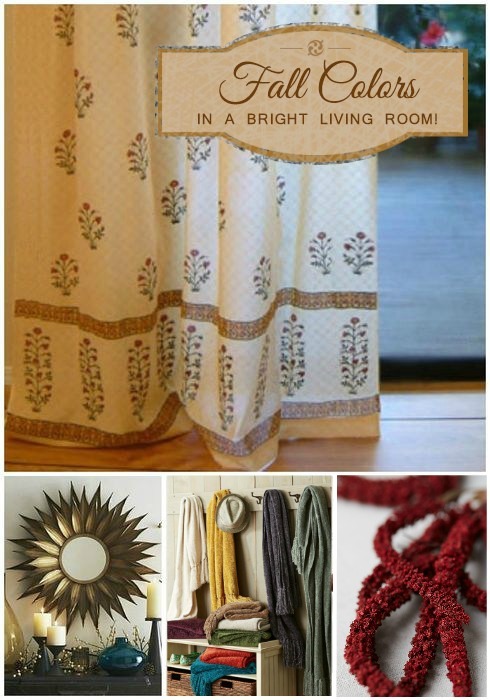 Gauzy Boho Curtains are the Perfect Backdrop for Fall Decor! Get Ready for Fall Colors in a Bright, Global Living Room! do you have standard pillow shams or goldtone twin duvet covers? 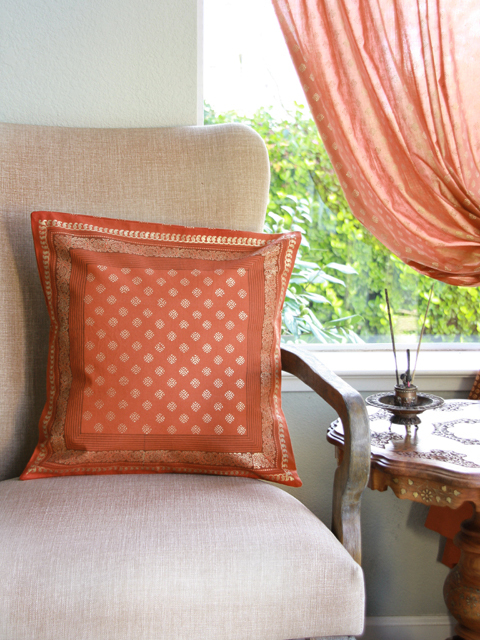 The Shimmering Goldstone collection includes window treatments and decorative pillow shams. We do not have duvets or standard shams in this print. If you like the color, perhaps you’d like to consider Indian Summer, Kilim Noir or Spice Route, which also have rich warm tones, and are part of our bedding collection. Please let us know if we can help further! I prefer goldstone print. Would Love to have a duvet and pillow cases in it! ← Get Ready for Fall Colors in a Bright, Global Living Room! 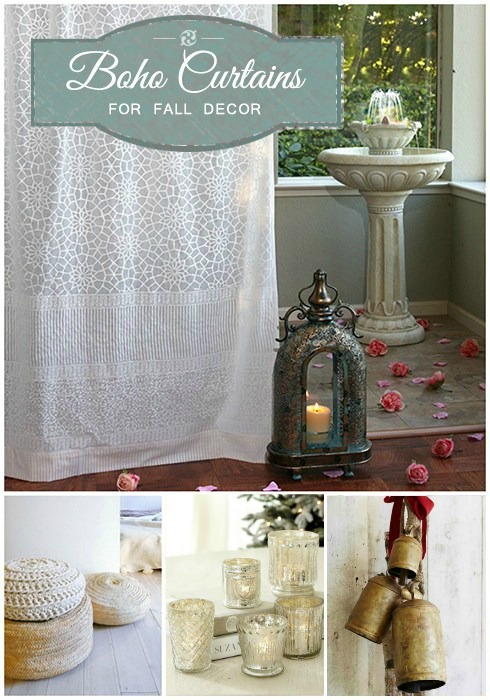 → Gauzy Boho Curtains are the Perfect Backdrop for Fall Decor!